This home was also the residence of the five girls that made up the family of August and Mabel who were all born in the house. 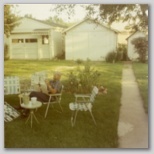 Not long after the construction of the home, August built a single car garage and a small structure that was used as a coal storage facility during the winter but was then cleaned in the spring and used by the girls for their playhouse until fall. Later August dug a partial basement I9, under the home. The basement was then used to store coal and the playhouse was mostly used as a playhouse from that point on. At some point Caroline Whetstone, mother of August, came to live with the family and lived in a room (porch?) 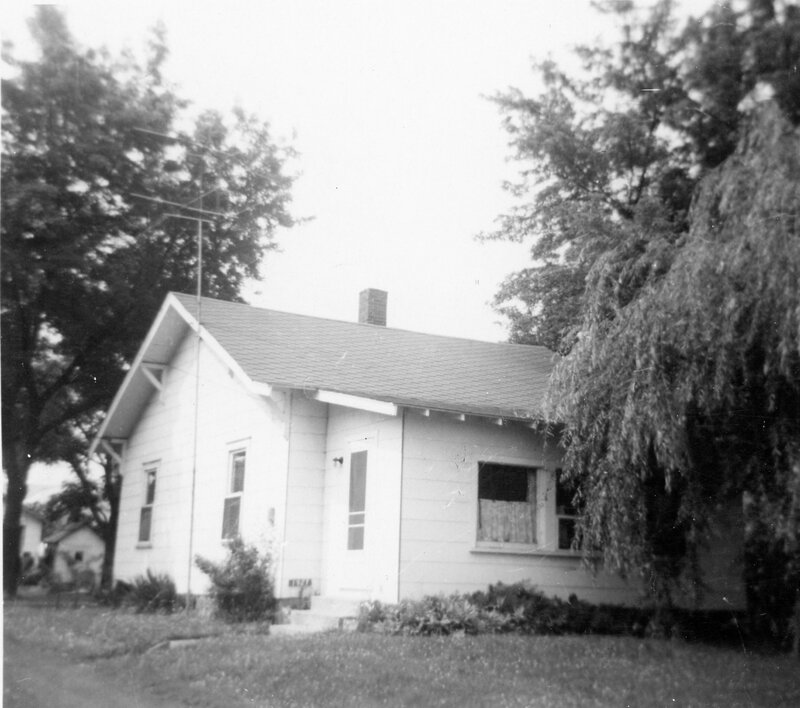 off the back of the house which was later removed. When this room was attached there was a door between the back bedroom and this room. After that room was removed the door was replaced by the window that is present today. 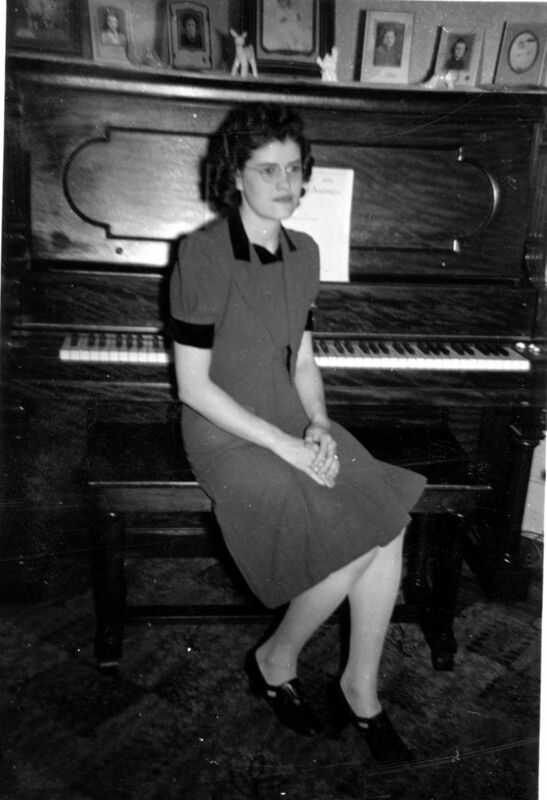 Following the death of Mabel in 1978 an estate sale was held in May and the home sold shortly thereafter. The neighborhood has taken a turn for the worse today. 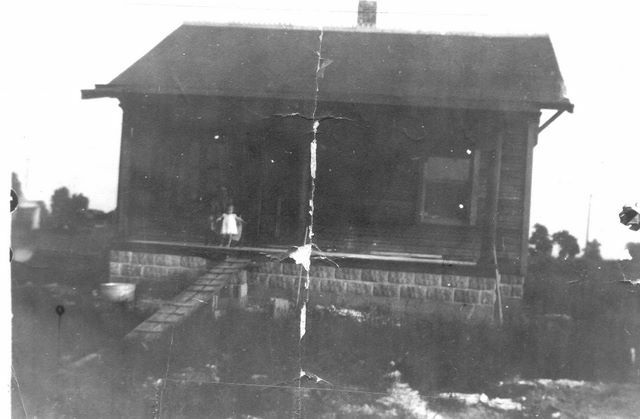 Most of the homes in the area have not been well taken care of as this home was used to when August and Mabel occupied it. 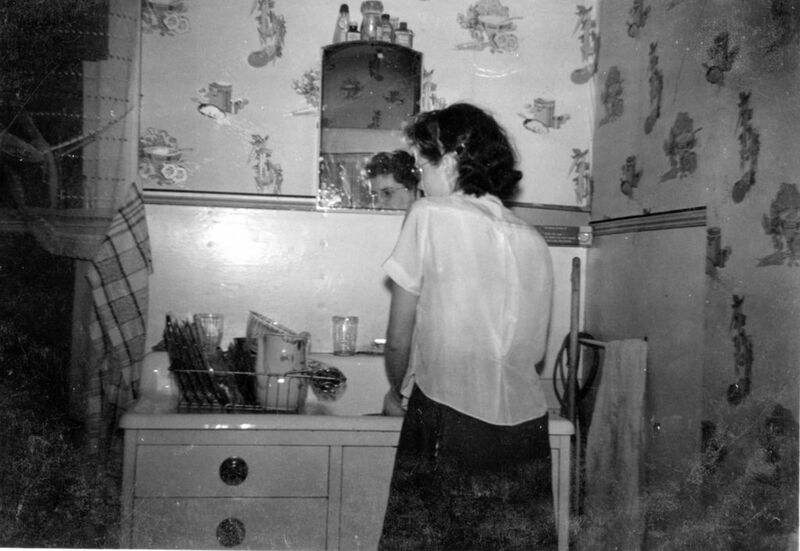 - According to an interview with Norma Haas Robbins there was at one time a room on the back of the house and Caroline Whetstone Haas, mother of August, lived there. The door to that room was the window in the southwest bedroom later. That room had been removed. I have not seen any pictures that show any indication of a room ever being attached. Other members of the family, including John Haas, brother of August and William Franklin Worthen, Brother to Mabel Worthen Haas also worked at this plant. S1 Polk's Muncie Directory , digital images, Ancestry.com/City Directories (www.ancestry.com : viewed 20 January 2010). 1938, p 136: "Haas Aug (Mabel M) formn h1927 E 17th"
1940, p 155: Haas/ "Aug (Mabel) glasswkr Ball Bros Co h1927 E 17th"
1941, p 164, 165: "Haas Aug (Mabel M) glasswker Ball Bros Co h1927 E 17th"
1943, p 132: "Haas Aug (Mabel M) reprmn Ball Bros Co h1927 E 17th" - "Haas Marjorie emp Excel Mfg Corp r 1927 E 17th" - "Haas Norma clk r1927 E 17th" - "Haas Olive J bkpr r609 Wald av"
1945, page 140: "Marjorie R USN r1927 E 17th" - "Olive J USN r1927 E 17th" - "Haas Robt A (O Jean) USA r609 Wald av"
1946, page 152: "Haas Mabel M (Wid Aug) h1927 E 17th"
1948, page 183: "Haas Mabel M (wid Aug) h1927 E 17th"
Lot Twenty-two (22) of Wall's First Allotment, of the Eureka, Centre Township, Delaware County, Indiana. (1) Will keep all buildings erected on said premises painted white at least until the year 1925. (2) That all buildings shall be at least 30 feet from the road line. (3) That no spirituous liquors be sold thereon. (4) That the premises shall never be sold to a colored person. (5) That the above named lessee herin promises and agrees to insert with out reservation all these promises and agreements into any contact of lease or sale, said lessee may hereafter make for said premises. The said Wall offers to build the following described House: Outside dimensions are 24x28. This will be the same plan as the "Herman Lewis" house, except roof shall be comb roof, fronting the street and the porch roof hipped to the main building. two nails in each studding. A11 joints to be upon studding. Upon the . No. 3 sheeting. Roof shall be of green slate shingles, asphalt. doors of the sizes indicated on plans. have one coat of filler, one coat of stain and one coat of varnish. and one outlet on the front porch. Bills, meanwhile, to be Paid Regularly as Rendered in Accordance wit Contract. This Receipt is NOT TRANSFERABLE, and must be Returned to the Office upon Discontinuance of Services. 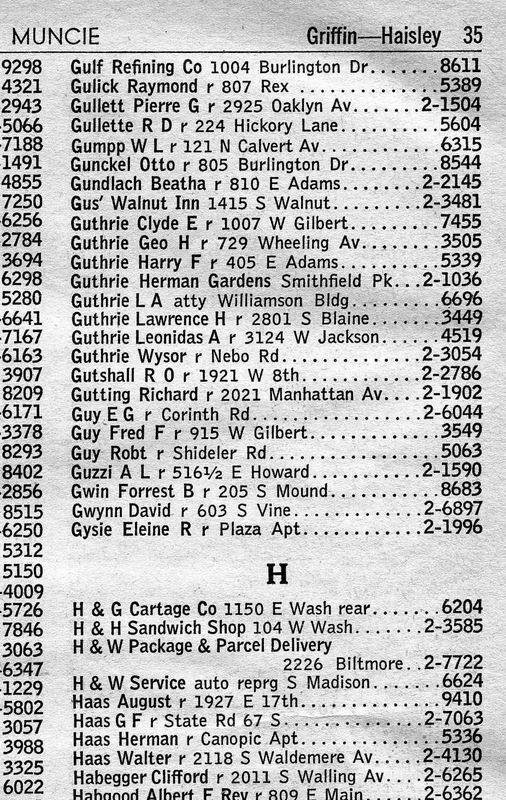 Notes: Telephone listing in Muncie Phone book for Indiana Bell Telephone dated April 1946 lists August Haas residing at 1927 E 17th Street with a phone number of 9410. August was already dead by this time - Mabel kept the phone in August's name for a long time after his death. Notes: Between Harold C R Wall and Minnie Wall and signed by August Haas and Mabel M. Haas Dated 20 May 1920 - This document gives details about the building of the home, its cost and the date and the name of the builder. The date was 28 March 1919, the builder Harold C. R. Wall and the price was $1295.00. - Warranty Deed. 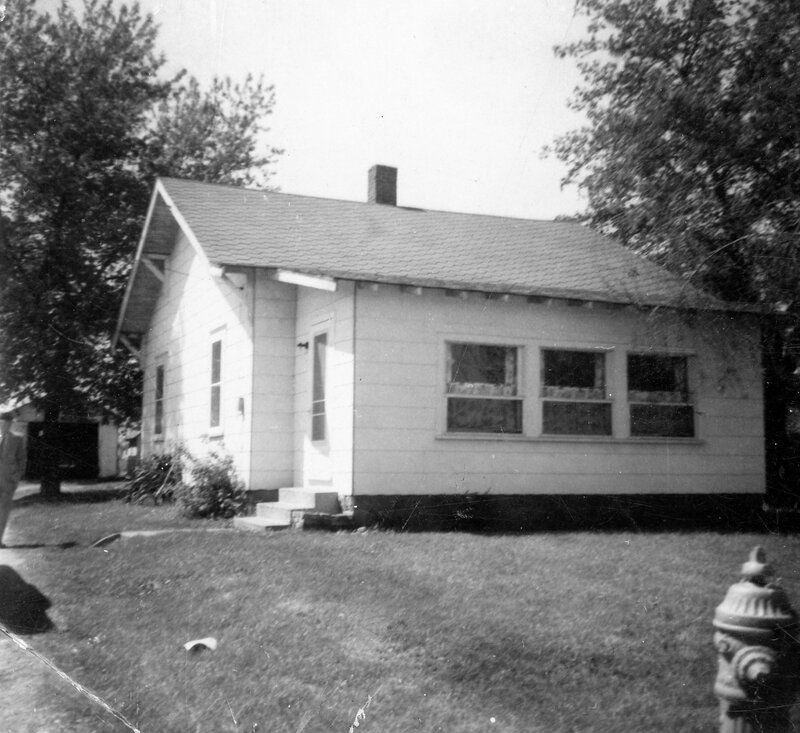 dated 20 May 1920 for house at 1927 E 17th St Muncie, IN. S7 Haas, Norma ID0006. Autobiography of Norma Haas Robbins. 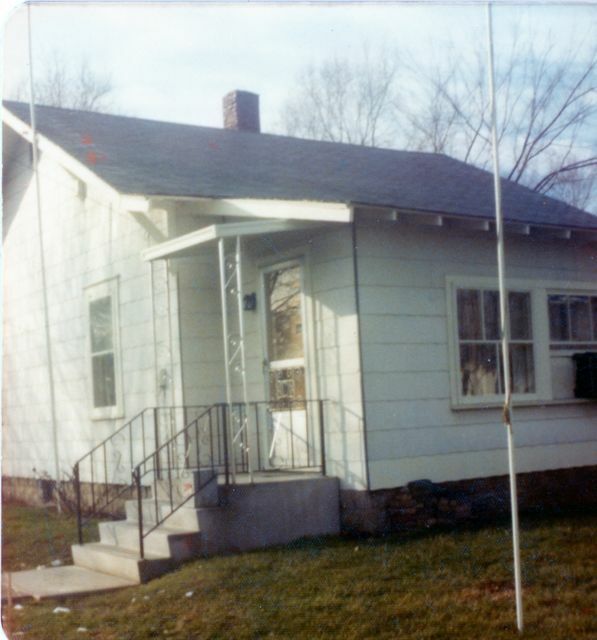 Yorktown, Indiana, 1992., Thoughts about the 17th St house. Acc000502. S8 1920 Federal Census, Muncie Ward 8, Delaware County, Indiana. SD 8, ED 43, Sheet 15. dwelling 169, Family 169, 1927 E 17th St, Line 1, August Haas. 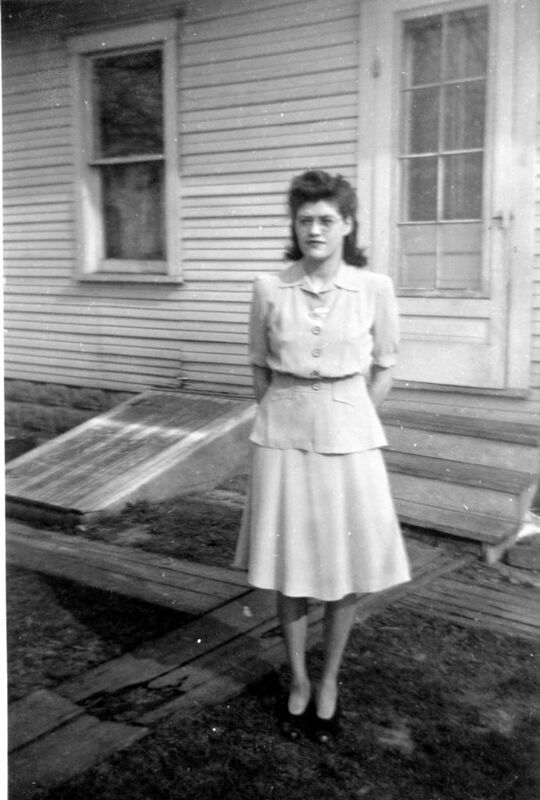 Original Data: NARA, T625, roll 427. www.ancestry.com Acc000713. S9 1930 Federal Census, Muncie, Center Township, Delaware County, Indiana. 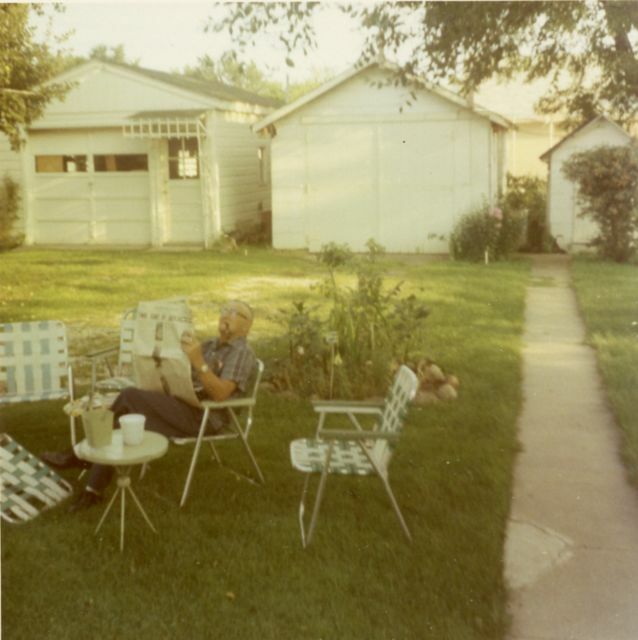 SD 5, ED 17-20, Sheet 35B, 1927 E 17th St, Dwelling 783, Family 849, Line 51, August Haas. 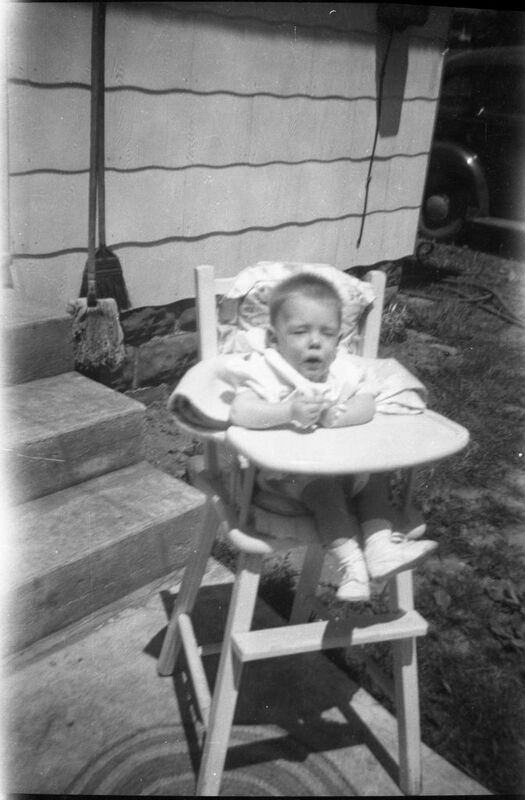 Original Data: Nara, T626, Roll 583. www.ancestry.com Acc000758. S10 Database On-line, US World War II Draft Registration Cards, 1942, August Haas, Local Board: Muncie, Indiana. Original Data: Selective Service Registration Cards, NARA Roll: WW2_2281512. www.ancestry.com , accessed 1 March 2008. Acc001073. Extract: Serial Number: 1862 - Name: August Haas - Place of Residence: 1927 E 17th St Muncie Indiana - Mailing Address: [Same as residence] Telephone: 9410 - Age in Years: 47 - Place of Birth: Defiance - Date of Birth: Aug 29, 1894 - State of birth: Ohio - Name and address of person who will always know your address: Mabel Marie Haas - 1927 E 17th St, Muncie, Indiana - Employer: Ball Bros Muncie, Indiana - Registrants Signature: August Haas - Race: White - Height: 5 10-1/2 - Weight: 125 - Complexion: Light - Tattoo on right arm, wears glasses - Signed: Mrs W F Wilson, Local Board 2, Muncie, Indiana, Apr 27 - 42. S12 Newspaper Article. "Eager to Learn" - Probably Muncie Star, Sunday, nd. Olive Haas ID0380 is in 2nd vertical row, 4th back. Acc001625. 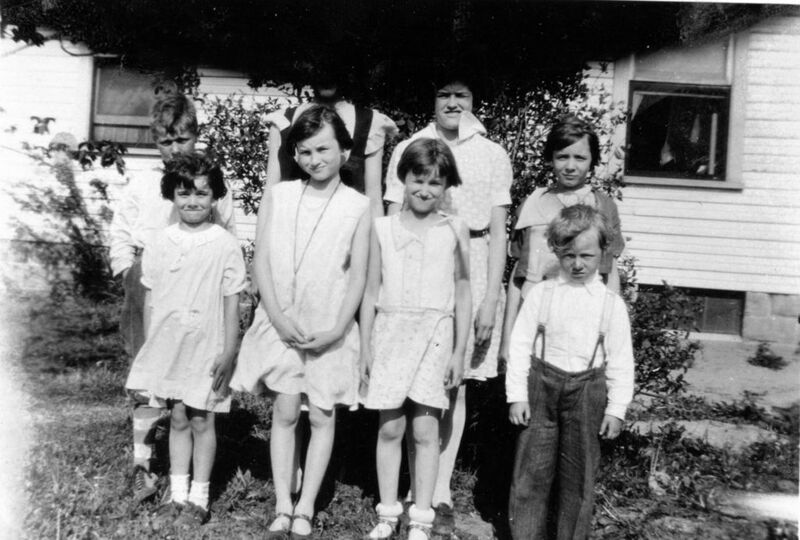 Extract: "EAGER TO LEARN: Members of the 1932-33 sixth-grade class in Muncie's Stevenson School pose for a picture Dec 13, 1932. Teacher Joseph S. Shepard, also the school's principal, is standing at the rear. 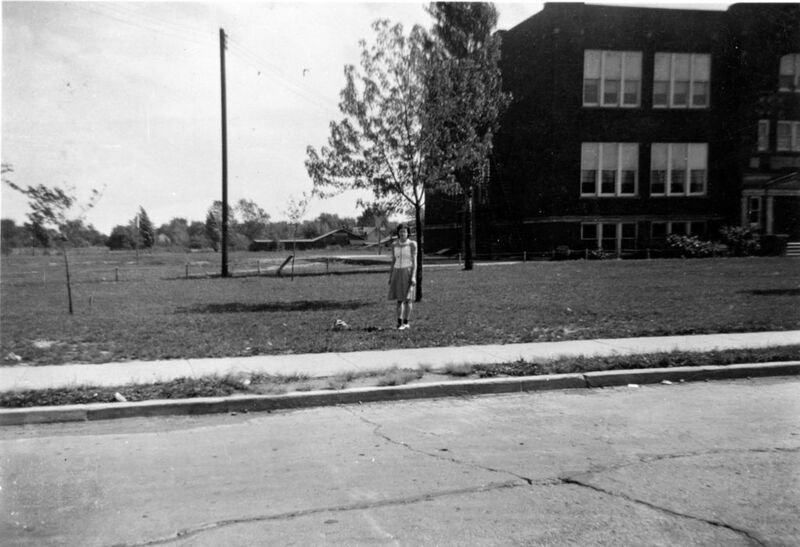 The school was at Mock Avenue and 18th Street. 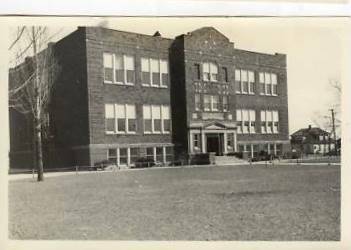 Until the area was annexed by Muncie before 1920, the school was operated by the Center Township trustee. It was closed in the 1970s, and the early 1900s building was razed. The photograph was furnished to The Album by Gene Carter of Muncie, a class member who is pictured in center foreground"
in East 17th St. Lot #22 Walls 1st Add. on account of Unwaived Assessment fund for Sewer in E. 17th St.
S16 Web Page, Housetry.com, 1927 E. 17th St, Muncie, Indiana 47302. http://housestry.com/properties/?address=1927+East+17th+Street%2C+Muncie%2C+IN%2C+USA . accessed 15 March 2018.